Home » Anime » An Anime Ramble: What Makes My Hero Academia Great? Boku no Hero Academia (or My Hero Academia) is currently among the most popular anime to date. 3 seasons have been on air so far and its popularity still has no sign of dwindling. That said; there are diverse opinions about the series: Many believe Boku no Hero Academia is the best shounen anime in the current generation, while many others think it is overhyped. But in the end, this is mostly a matter of personal preference. And therefore, today we will not discuss about “why My Hero Academia is great” or “why My Hero Academia is bad”. Rather, we will share our personal opinions of what makes My Hero Academia great. So with no further ado, let’s begin! *Note: The opinions below based from our personal experience with both anime and the manga version of this series. 1. My Hero Academia: What is this series? 2. What Makes My Hero Academia Great? Boku no Hero Academia, a.k.a My Hero Academia, is originally a superhero manga series written by Kohei Horikoshi. It began serialization in Weekly Shounen Jump since 2014 and so far there have been 198 chapters released (September 20, 2018). In 2016, Boku no Hero Academia season 1 anime was on air, followed by second 2 in 2017 and season 3 in 2018. 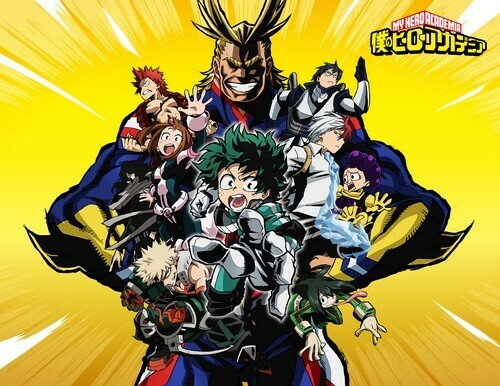 The series also has a movie titled My Hero Academia Two Heroes released on August 3, 2018. And on October 26, 2018, there will be a Boku no Hero Academia game named My Hero One’s Justice. The series takes place in an imaginary Earth where the majority of people possess special abilities called Quirks. The main protagonist – Izuku Midoriya (nicknamed Deku) is a boy who unfortunately born without Quirk, still, he harbors a dream of becoming a great hero just like All Might – the number 1 hero in Japan. One day, Deku showed an admirable will of helping people despite his lack of Quirk. This moved All Might greatly, and ultimately, the famous hero decided to grant Deku his true power – One For All – and became his mentor. And so, Deku’s path of becoming a great hero begins. Here’s one thing we like in both My Hero Academia and One Punch Man: the somewhat realistic depiction of hero’s life and society. Why’s that then? 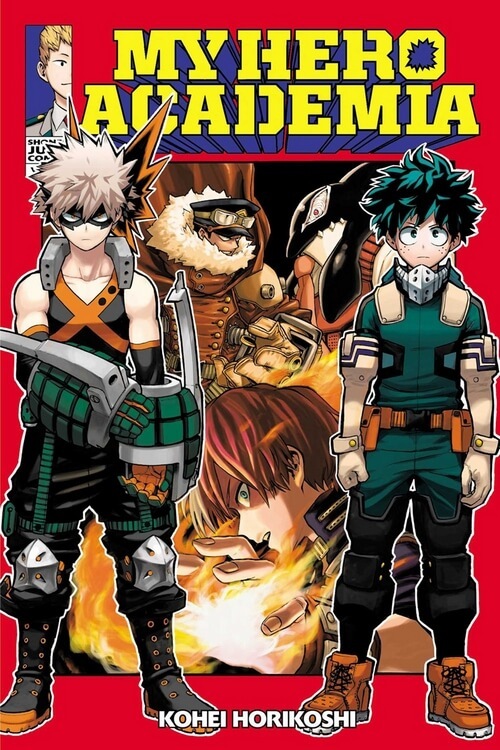 At the beginning of My Hero Academia, we have an impression of this series to be a fantasy hero story with generic heroes-win-villains-lose trope. And to certain extent, it may feel true. But as we follow the story, we realize that there are brutal and hardship of being a hero depicted later on. In My Hero Academia, Heroes are Quirk users who use their abilities to help people. But becoming a hero also means holding responsibility. Every hero has to stand up in order to give people’s hope, no matter how struggling they are. 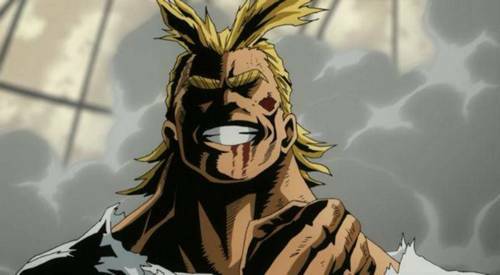 For example: All Might – The Symbol of Peace is considered as the number 1 hero, yet such popularity also puts a heavy weight upon him. This is especially more emphasized in later episodes/chapters as we know that All Might is getting more and more weakened. But no matter how tired he is, he still has to stand up because he is a beacon of hope. In the world of My Hero Academia, many villains are afraid of acting openly due to All Might. So just imagine if that beacon falls into pieces, so too the society. Not to mention, in season 3 we know that All Might officially retired and that means the villains will become more active. This will put even higher stress on the Hero Association as they will have to work even harder to gain people’s trust. And if society does not trust them anymore, the more chaotic society will be due to the villains’ influence – just like All For One, the most sinister villain to date, wants. This idea is typically depicted in My Hero Academia Season 2 – Vs. Hero Killer Arc. Here we got to meet a terrifying villain nicknamed Stain the Hero Killer. Honesty, Stain is not exactly a villain, he is more like an anti-hero type and that’s what makes his character great. From Stain’s perspective, the society needs to be cleansed from both petty criminals and unworthy heroes, especially those who do not have strong conviction. He believed that only All Might was worthy of a hero, but other heroes who only do this work for money do not deserve such title. Though we know that there are heroes who aim for good, there are indeed heroes who do not exactly follow this aim. Endeavor in particular seems to match this idea since from Endeavor does not look like doing hero work for the people, but rather, for flame. He shows a great hatred towards All Might, he always wants to surpass All Might’s number 1. Endeavor is an egoist man and he seeks fame. And guess what, his family suffered greatly from him, especially his son Shoto Todoroki. The existence of heroes like Endeavor proved Stain’s point and that makes Stain an even more fascinating villain. And this makes us more interested in this series. Such ideology also reminds us of One Punch Man since in One Punch Man world, most heroes care more about money and fame rather than doing good. If Stain were in this world, no doubt lots of heroes would be killed by this guy. This is an extremely difficult thing to pull off, not just in shounen anime/manga but also in every action/superhero series or films. In every superhero story, people expect to see a believable threat, things which truly put characters in a death-or-alive situation. And in our opinion, Boku no Hero Academia actually nailed this aspect. So far, every battle in this series feels heavy. We truly feel for the heroes and somewhat nervous to see whether the heroes will be killed or not. In most battles, the villains did pose true danger to the heroes like the battle with Stain, the League of Villain, and Noumus. And so, the heroes have to plan carefully if they want to win and interesting enough, Deku has this ability. Now, some people may argue that all of these feelings are fake since so far there has been no main character (like students of Class 1A) died. But even if so, being able to pull out such feelings is not a small feat. And trust us; the stakes will get more and more intense in future episodes/chapters since the villains in this series actually grow alongside with the heroes. And as we mentioned in the first reason, as All Might retired, the more instable society will be and who knows what sort of chaos will occur. Villain is an extremely difficult aspect to pull off, not just in shounen anime/manga but also most action/superhero stories. Villains are supposed to be compelling; they are supposed to have a purpose, and, a real threat. Luckily, Boku no Hero Academia did just the right thing. 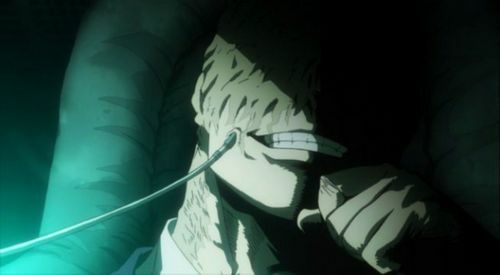 Despite its somewhat slow beginning, the show gradually showed off many interesting villains, typically Stain, All For One, and Tomura Shigaraki. 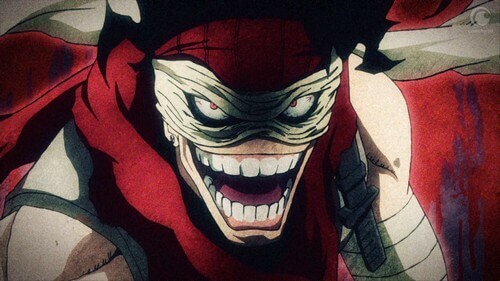 Stain, as we discussed above, is a great villain/anti-hero thanks to his power, great personality and purpose. Unlike the early Tomura and the League of Villains, Stain displayed a strong sense of danger to every single hero. We could feel his threat, especially if a hero solo-ing him. In fact, it took Deku, Shoto, and Tenya pushing to their limit in order to knock Stain unconscious. But even so, Stain still had power to rescue Izuku when he was captured by a flying Noumu. And despite his grave injuries, he could still release an overwhelming killing aura which chilled other heroes to their bone. 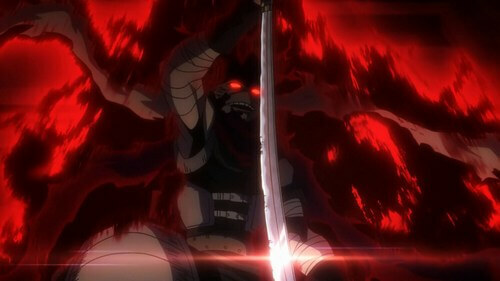 But more importantly, Stain demonstrated himself as a great villain with his strong conviction. He claimed this world as full of fake heroes, and only All Might was worthy enough to fight him. Such impression and conviction truly impressed us, thus he was the one who made the story moving forward as more and more villains showed up because of their admiration towards Stain. Then in Season 3, we finally met the true evil mastermind behind everything – All For One. In previous episodes, All For One was already established as the most sinister, most mysterious, and most manipulative villain among all. Yet interestingly, he was like a teacher/father figure to the members of the League of Villains. He always showed a kind attitude towards Tomura, yet at the same time, we always felt something extremely wrong every time he appeared on screen. 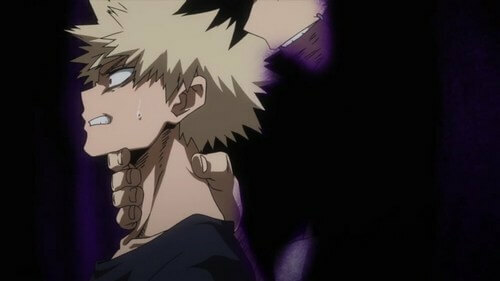 His sinister side also showed strongly when he fought with All Might. He openly “revealed” that Tomura was actually All Might mentor – Nana Shimura’s grandson. This news almost devastated All Might’s resolve, if not for Gran Torino who encouraged him to focus on the fight, not All For One’s words. Then even when he was defeated by All Might, we still don’t know who this guy really is and what’s he planning. And even when he was jailed, we still felt like he was just hiding something in his sleeve, something we felt like it’s real, yet know absolutely nothing about. And those made All For One an absolutely great villain. But he was not our most favorite though; our most favorite villain at the current state must be Tomura Shigaraki. This is a surprising point and we sure that many other people also feel the same. 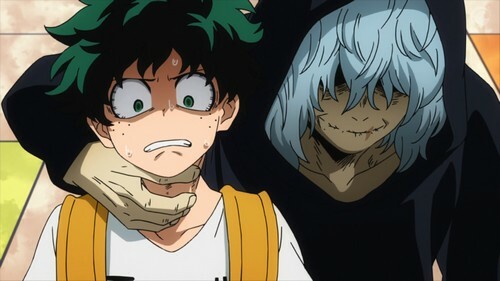 At the beginning, Boku no Hero Academia’s villains were rather… boring, especially the League of Villains led by Tomura Shigaraki. We also felt the same with this Tomura guy: he was childish, full of anger, and he did not have any sort of motivation. We could hardly feel empathized with this guy at first. But as the show went on, Tomura actually learned more about how to be a great villain… who would have thought!? Let’s recall the Vs. Hero Killer Arc. During this arc, Stain openly despised Tomura because he did not feel any sort of conviction from Tomura. This angered Tomura greatly, even to a point that he attacked both Dabi and Himiko just because they mentioned Stain’s name. But surprisingly, Tomura did rethink about himself. 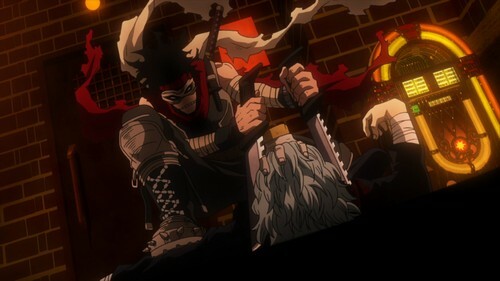 He sought Izuku and at that moment, he finally found his goal: killing All Might. He “realized” that the world with Quirks was a cruel, unfair one and All Might was protecting this fake “sense of peace”. And as you will see soon in Boku no Hero Academia Season 4 (which will be definitely a thing), you will see a calmer, and at the same time, more sinister and scheming Tomura. 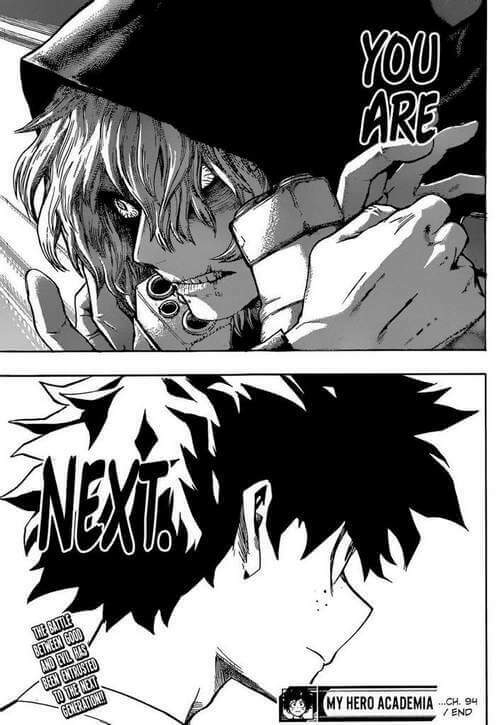 Paying more attention, we will see two polarizing sides here: Izuku Midoriya – Deku is growing as a great hero with All Might as his teacher, while Tomura Shigaraki is on his way to be a great villain with All For One as his teacher. This sort of polarizing duo is a rare scene in a superhero story. It is exactly this dynamic hero – villain duo which makes this series far more interesting as we follow the story. Tomura is a student of All For One, who will eventually become a villain surpassing All For One and receive his power. On the other hand, Izuku Midoriya inherits All Might’s power and legacy to become the next “Symbol of Peace”. And no doubt, the final battle between Izuku and Tomura will definitely be the most epic. And that’s it folks! Do you think My Hero Academia is a great anime? Or is it just overhyped? Feel free to share with us and for now, thank you and stay tune for more news in the future!